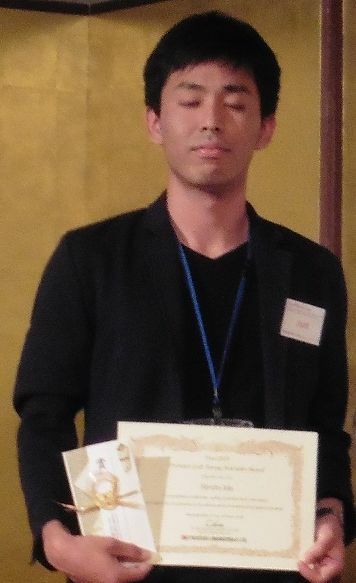 Mr. Hiroto Ida has awarded as a winner of Young Scientist Award in Pyro2018 (June 3-8, Kyoto Univ.) among the outstanding top6 presentations. 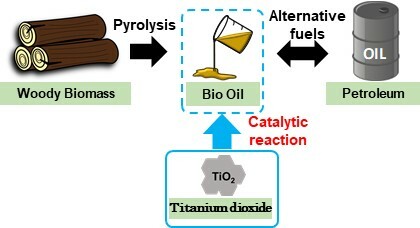 Production of biofuel by pyrolysis of biomass combined with an appropriate catalytic conversion is gaining attention as a promising method to replace petroleum. In this research, focusing on titanium dioxide, its catalytic effect to upgrade the biofuels was clarified by using tandem-µreactor-GC/MS system. It is my great pleasure to receive this honorable award. I would like to thank deeply Prof. Ohtani and colleagues in the laboratory for their kind support to my research. I will continue to learn analytical chemistry to obtain expertise for clarifying various phenomena without missing small changes observed during research procedures.